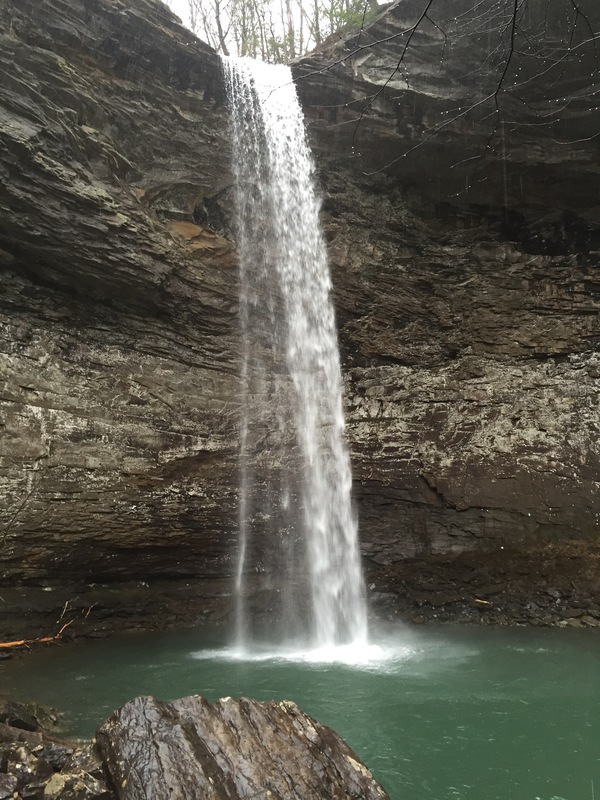 If you ever find yourself traveling through east central Tennessee along I-40 and are itching to see just one awesome Tennessee waterfall, I have a perfect one for your consideration. 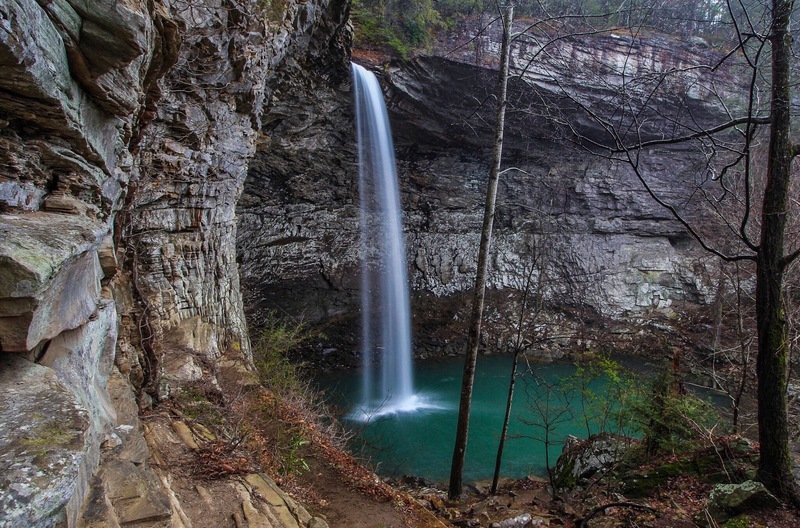 Ozone Falls, is a very picturesque 110 foot waterfall with wide amphitheater like cliffs surrounding it on both sides. The water drops into a beautiful green pool. I read on the official website, that scenes from the “The Jungle Book” were filmed here. 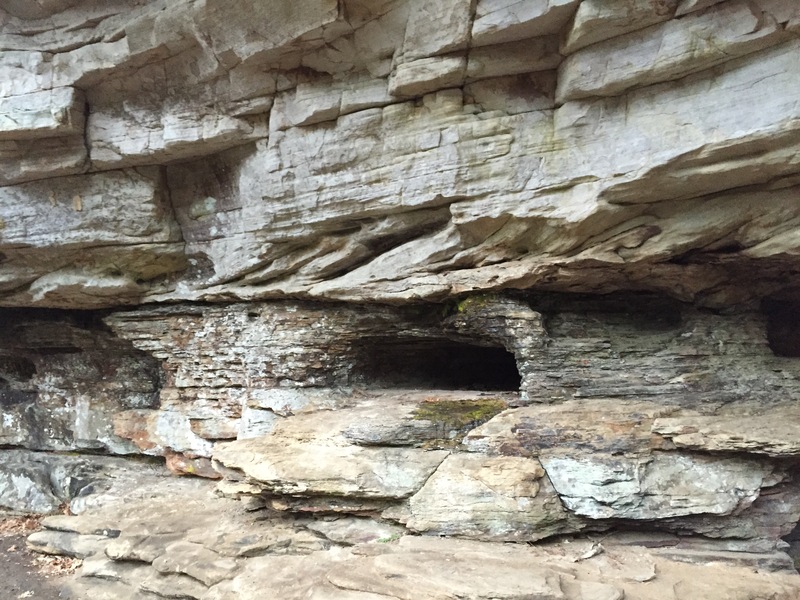 Even better, it is only 4 miles from I-40……with minimal hiking! 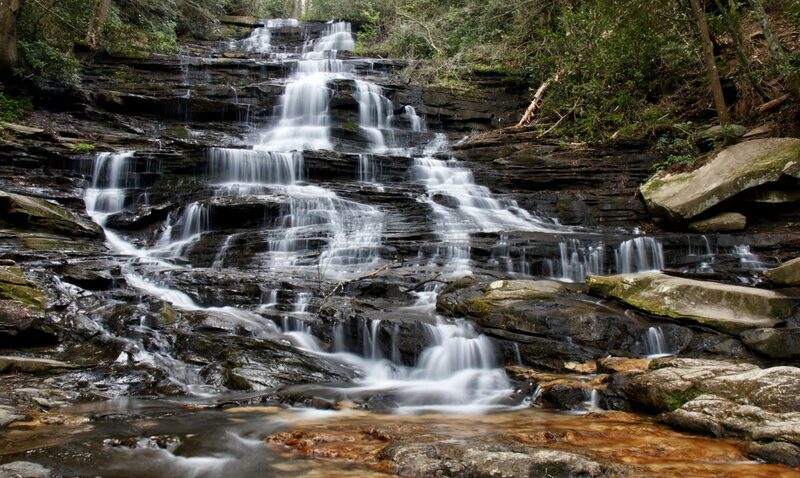 It’s not officially a “roadside” waterfall, but it is the next best thing! This won’t be convenient to all as, Tennessee just happens to be a very long state, east/west speaking . I -40 travels nearly 500 miles from one side to the other. 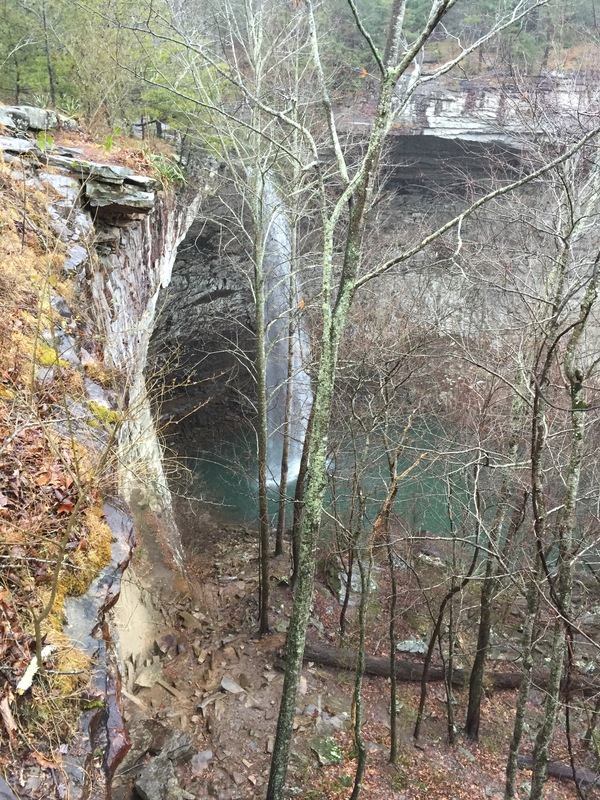 The location of Ozone Falls is off of exit 329. It is the “Crab Orchard” exit. Get off here and follow the sign to US 70. Take US 70 east for 4 miles and pull off on the small parking area on the right. That is it. There is an info board and several small trailheads here. I chose the trail that led straight to the falls. 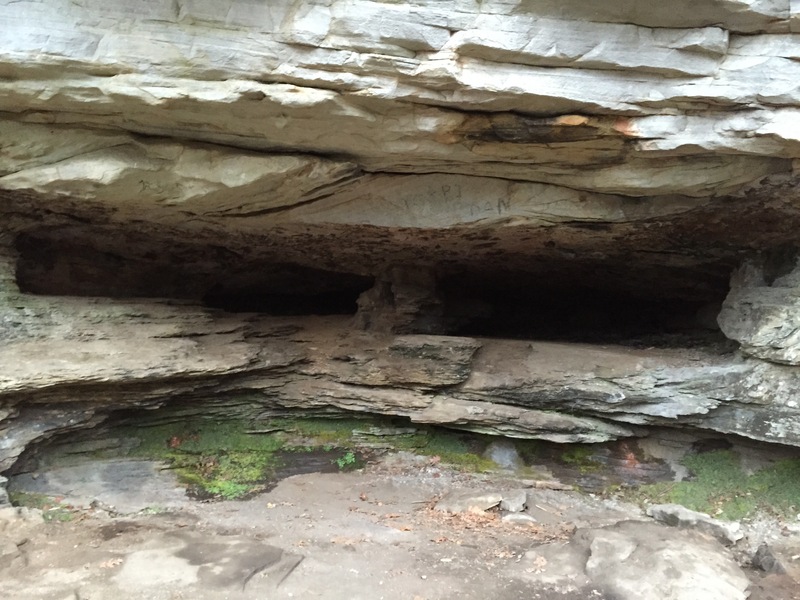 I walked straight along a bedrock trail, and came to a cliff edge with very steep drop offs. I could see part of the waterfall, and could tell it was an impressive one. It was certainly not the view I wanted. There wasn’t necessarily an “overlook” here, and this was not a cliff to get too close to the edge to. It was raining steadily and I was not looking to explore long here. I headed back to the car, looked at the info board again and saw my error. The trail to the base, was to the right, following US 70 back west. It is just a short ways, then the trail breaks down and left. The trail is rock strewn and was actually a small creek today with lots of rain water. 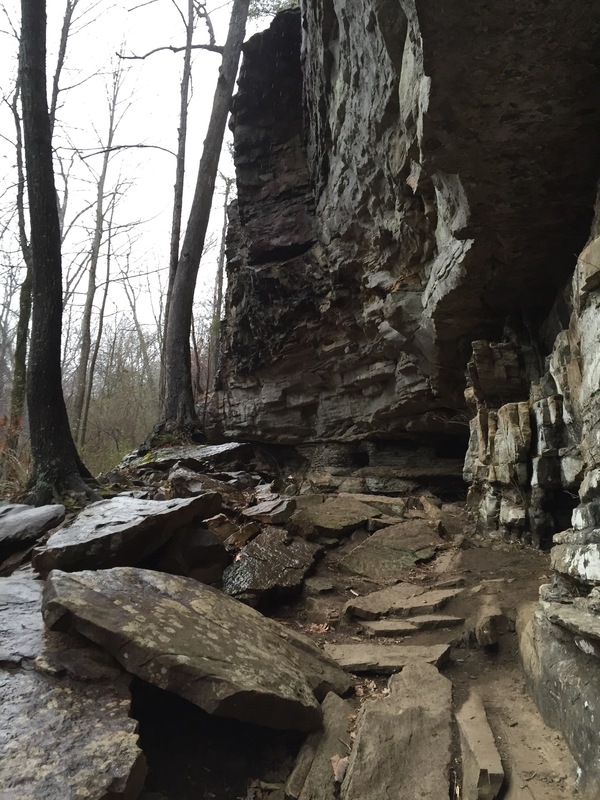 The trail quickly breaks back towards the waterfall. I followed the cliff line at first, as the cliff overhang above proved a small strip of dryness. This led me to a spot where I was able to set my camera up and get what I believe is one of my best waterfall photos ever. This was very nice, as it was raining steadily. I then took a broken trail down to the base. It was somewhat steep but nothing terrible. It was slippery with all of the rain. The view from the bottom was amazing, but the rain messed my photos up. A few shots above from the short walk down into this scenic gorge. Here is a short video of the falls to close. 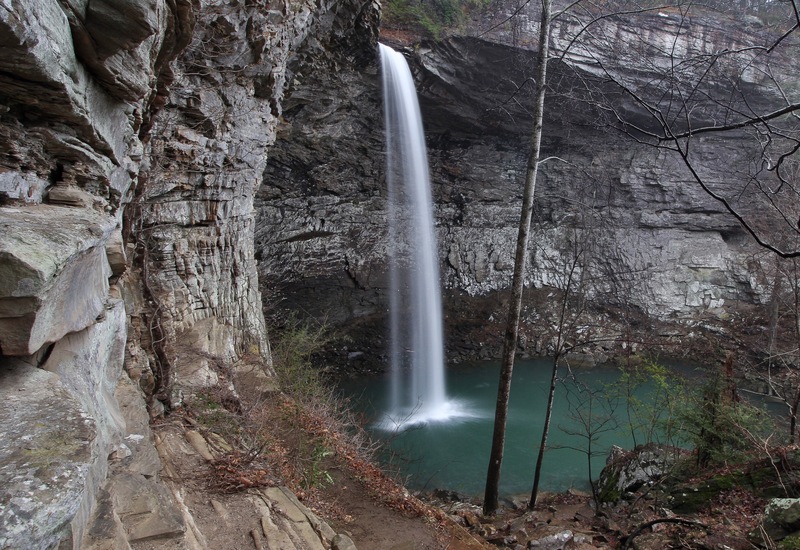 For more info on Ozone Falls, please visit the official site for Ozone Falls State Natural Area. IT”s a real show stopper…I am adding it to my Bucket List! What a cool name for a waterfall!